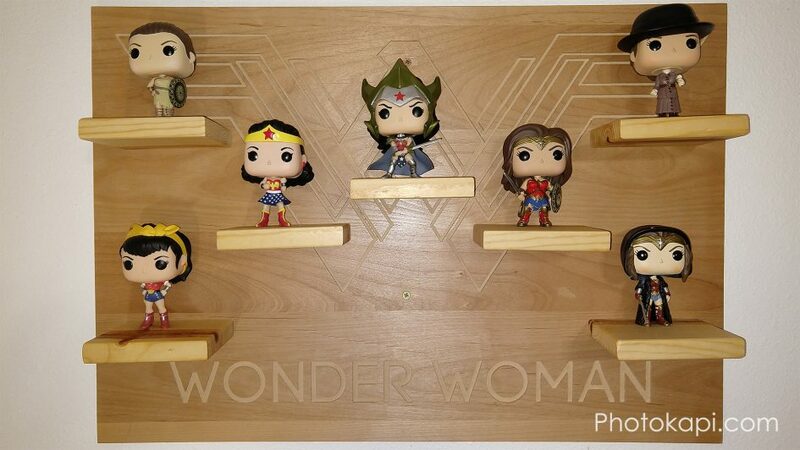 My wife is a huge fan of Wonder Woman, and collects Wonder Woman related things. I decided to build her a display shelf for her Funko Pop Vinyl Figurines. I designed it in Illustrator, then cut it out on the X-Carve.